What makes our Inside Baseball Coaches Clinic different? Our featured coaches and trainers, baseball industry experts like Baseball America and other college coaches, are referred to as some of the brightest minds in the game. They are speakers in their 30s and 40s, who breathe baseball every day, every hour, every chance. 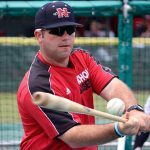 We ensure each Inside Coaches Baseball Clinic is a home run by recruiting enough expert coaches with enough engaging sessions to hit every possible angle you could want. You simply won’t find a better collection of presenters. See our featured guest speakers for the upcoming 2019 clinic below! 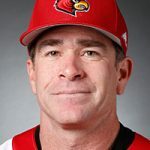 On June 27, 2006, Dan McDonnell, one of the top young minds in college baseball, was named the 18th head coach of the University of Louisville baseball team. And on June 15, 2007, McDonnell and the Cardinals took the field at hallowed Rosenblatt Stadium in Omaha for game one of the 2007 College World Series. Not bad for 353 days on the job. As the first rookie head coach to lead his team to Omaha in 27 years, McDonnell was named National Coach of the Year by Rivals.com after guiding the Cardinals to a then-school record 47 wins during that 2007 season. 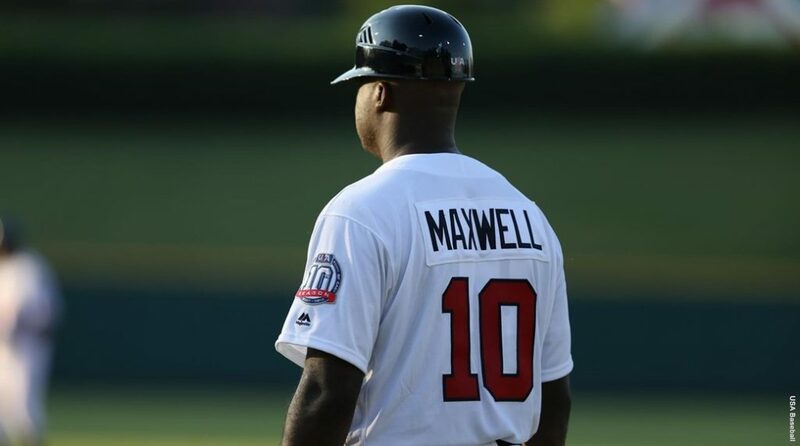 He followed that impressive debut season by leading Louisville to nine more NCAA appearances during the next 10 years, including three more College World Series berths in 2013, 2014 and 2017, as well as eight conference regular season titles and two conference tournament championships. McDonnell added his second career National Coach of the Year honor following the 2017 season receiving the award from Baseball America. In McDonnell's 11 seasons as head coach, Louisville ranks third nationally in wins with 509, including a school-record 53 wins during the record-setting 2017 season. As the top assistant and recruiting coordinator for Mike Bianco at the University of Mississippi for six seasons prior to taking over as head coach at Louisville, McDonnell and the Rebels had four top-20 recruiting classes and three groups that ranked in the top 10 nationally. Before his arrival in Oxford, Miss., McDonnell was an assistant and recruiting coordinator at his alma mater, The Citadel, for eight seasons. During his playing days for the Bulldogs, McDonnell earned four letters, helping The Citadel to the 1990 College World Series, marking the first time a military school has made the trip to Omaha. As a second baseman, he was named first-team All-Southern Conference as a junior. 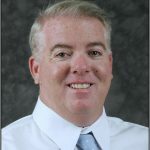 McDonnell graduated from The Citadel in 1992 and later completed his master's degree in business administration in 1995. He is married to the former Julie Anne Underwood of Charlotte, N.C. The couple has two sons, Jake and Justin. Spencer Allen is in his third season as the head coach at Northwestern. 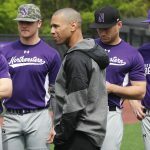 He was named the 26th head baseball coach on June 14, 2015.In 2017, Allen coached Northwestern to its first appearance in the Big Ten Tournament since 2010 and a run to the Big Ten Tournament championship game for the first time since 1984. Allen turned the team around from a 6-18 start and posted a 21-12 record the rest of the way, including a 13-11 record in Big Ten play. 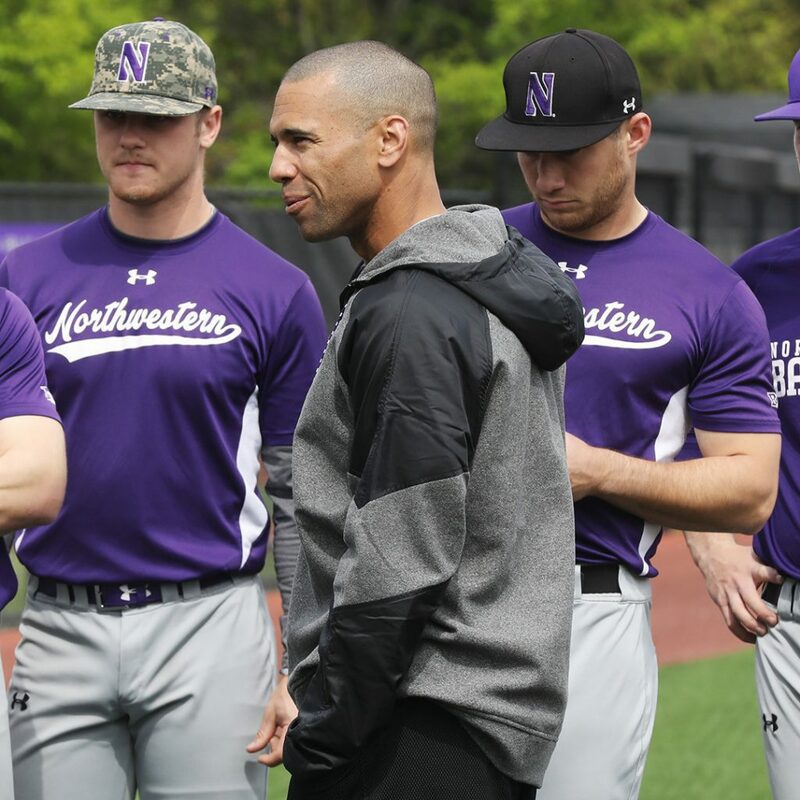 Allen came to Northwestern after serving as an assistant coach at Illinois in 2015. He helped the Fighting Illini set the school record with 50 wins and win the first NCAA Regional in program history. Prior to his stint with Illinois, Allen served a two-year stretch as the associate head coach and recruiting coordinator at Creighton. 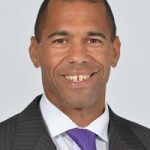 From 2010-12, Allen worked as an assistant coach and recruiting coordinator at Washington State University, where he helped those squads average more than 30 wins per season. Allen was the recruiting coordinator for the Purde Boilermakers during the 2008-09 campaigns. Additionally, he has worked as a scout in the Detroit Tigers organization, and as a volunteer coach at Iowa (2004). 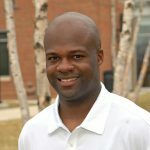 Allen's coaching career began at Edmonds Community College in 2002, where he was an assistant coach.Allen played three seasons at Iowa State from 1999-2001. He was a team captain during his final season and a 2001 All-Big XII Academic selection. Allen is married to the former Jessica Draemel, a former softball student-athlete at Stanford University, where she helped the Cardinals reach the 2001 Women's College World Series. The couple has one daughter, Jada, and a son, Cole. 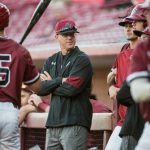 John McCormack completed his ninth season as head baseball coach at Florida Atlantic in 2017 after serving 11 years as associate head coach and seven years as an assistant coach. He will go into the 2018 season with an overall record of 317-203-1. The Owls finished third in Conference USA during the regular season (18-12), and wrapped the year at 35-21-1 after advancing to the C-USA semifinal round.Twenty-four players have been selected in the Major League Baseball Draft during McCormack’s seven seasons as head coach. 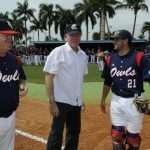 A total of 102 FAU players that McCormack has recruited or coached at FAU have continued their professional baseball careers. McCormack was promoted to associate head coach in 1998, having joined the staff in 1991. 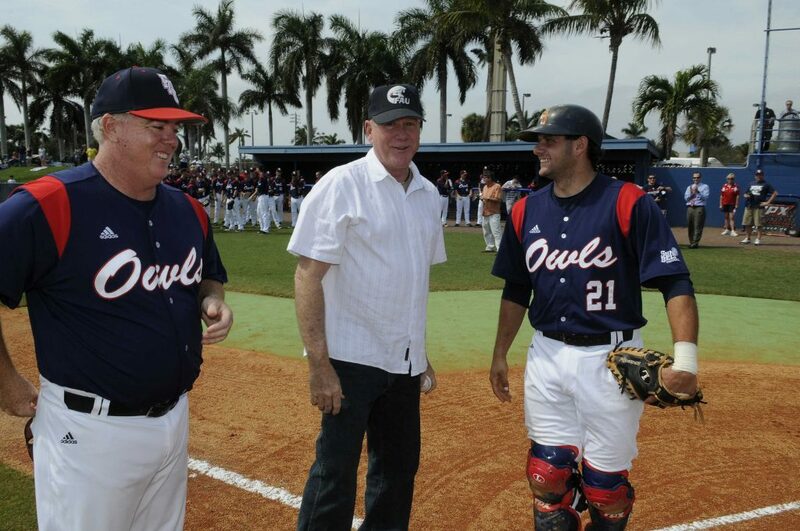 FAU’s baseball program has been built around the premise that McCormack would find athletes with the desire to win. The coaching staff would develop talent and the players would become better. Before joining FAU, McCormack played for nearby Lynn University, where he received his bachelor’s degree in business administration in 1990. At Lynn, McCormack earned all-conference honors his junior year as a catcher and his senior season as a third baseman. Prior to Lynn, he attended Indian River Community College and Pope John Paul II High School in Boca Raton. Born in New York, McCormack has lived in South Florida for more than 30 years. He and his wife, Katrina, reside in Boca Raton with their two sons, Conor and Shane. Head Coach Shawn Stiffler enters his sixth season at the helm for VCU in 2018. Over his tenure, the Rams have climbed back into national prominance. Entering the 2018 campaign, they stand as only one of 14 programs in the country with 35-plus wins over the last four seasons. During his first two seasons, the VCU baseball program emerged as a nationally-recognized program, putting up back-to-back Top-25 finishes. 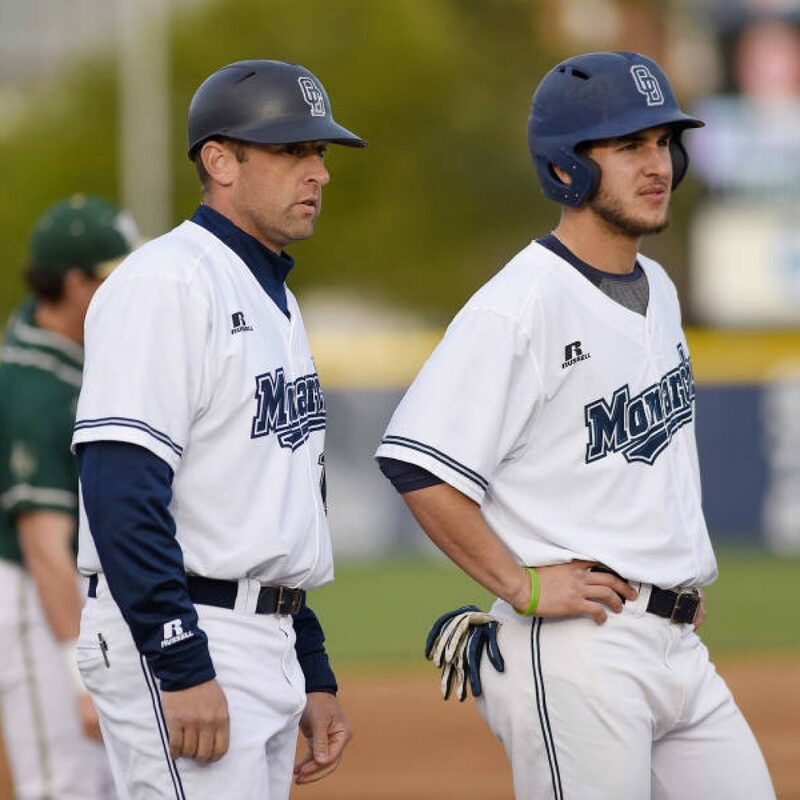 Stifler was named the 2015 ABCA East-Region Coach of the Year following a tremendous 2015 season, in which the Rams claimed the Atlantic-10 Conference Championship, advanced to the first Super Regional appearance in program history, and finished the season ranked #17 in the nation by the NCBWA. In December 2012, Stiffler was named the sixth head coach of the VCU Baseball program. Prior to his promotion, he spent six seasons as the Rams’ pitching coach and recruiting coordinator. During his 11 seasons as an assistant, Stiffler, coached 29 MLB draft picks, 15 of which he personally recruited, 13 of those 15 were pitchers. Stiffler was promoted to associate head coach prior to the 2012 season. Prior to his arrival at VCU, the skipper found success as an assistant at his alma mater, George Mason. for five years. Stiffler earned a B.A. degree in communications from George Mason in December 2001, after a four-year career as a pitcher for the Patriots. 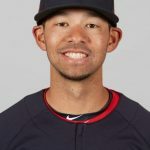 He is a 1997 graduate of Somerset High School, where he earned honorable mention All-America honors from USA Today and was drafted by the Minnesota Twins in the 53rd round. He currently resides in Richmond with his wife, Jennifer, and their children, Wade, Scout, and Penn. 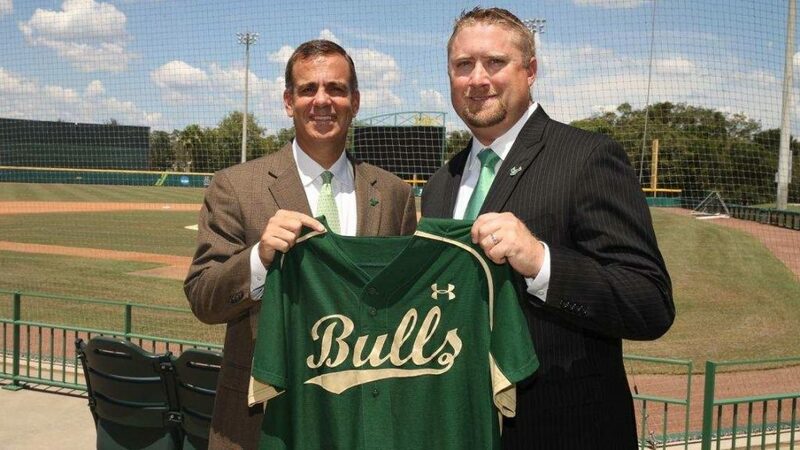 Billy Mohl joined the USF baseball coaching staff in June 2014 and was named the program’s seventh head coach on June 30, 2017. Mohl served as the team’s assistant coach from 2015-17, when his main responsibilities were working with the pitching staff. In Mohl’s third season as the architect of the pitching staff, the arms reaped the benefits of his leadership and had one of the best seasons in program history. 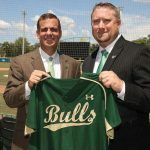 The staff posted a program record 620 strikeouts, as it was the third-consecutive season of at least 500 strikeouts and the first time the Bulls have ever matched 500+ strikeouts over a three year span. The team’s 10.1 strikeouts per nine innings led the nation and set a program record. 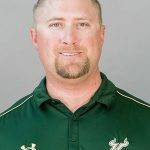 Mohl came to USF after five seasons under head coach Mark Kingston at Illinois State, where the pitching staff saw dramatic improvements under his tutelage. He was a recipient of the 2013 Tom Walter College Baseball Inspiration Award, which recognizes examples of inspiration in college baseball and is presented annually by CollegeBaseballInsider.com. Prior to arriving in Normal, Mohl spent three seasons at his alma mater, assisting Tulane to 107 wins over that period. During his standout four-year career with the Green Wave, Mohl set the school single-season and career record for fewest walks-per-nine-inning average with marks of 1.27 (in 2003) and 1.67, respectively. The right-hander went 9-0 as a senior, becoming just the second regular starter in Tulane history to go undefeated. Born in Wheatridge, Co., Mohl completed his bachelor’s degree at Tulane University in May 2007. He resides in Tampa with his wife, Krista, sons Hunter and Brock and stepsons Mason and Grant. 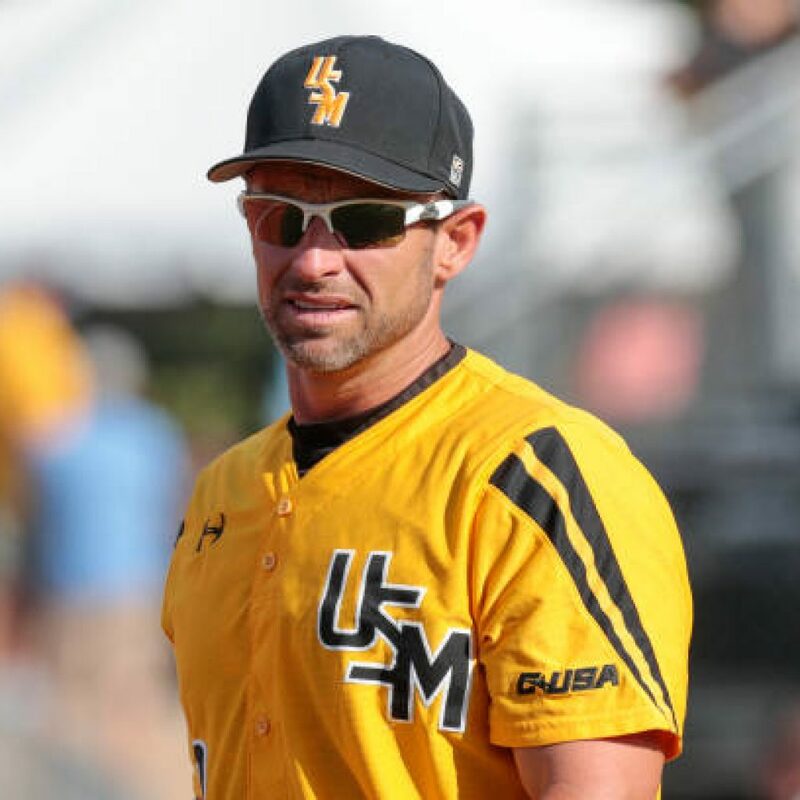 Over a decade, Chad Caillet not only has helped mine prospects for the Southern Miss baseball program, but also polished their offensive and defensive skills once they've arrived. Chad Caillet, who enters his 11th season as Associate Head Coach in the Southern Miss baseball program, serves as the team's recruiting coordinator while also working with the Golden Eagles' offense and infield defense. In 11 seasons at Southern Miss, the Golden Eagles have played in six NCAA Regionals, one NCAA Super Regional and the 2009 College World Series. This past year, after the team registered a school-record 50 victories en route to leading Conference USA in almost every offensive category, Caillet earned the C-USA Assistant Coach of the Year award. 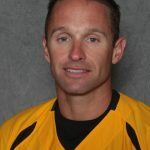 Caillet, who came to Southern Miss after a brief stint at McNeese State, was an assistant at Southeastern Louisiana University for the 2006 and 2007 seasons. Prior to SLU, Caillet spent four years at Meridian Community College, including one season as its head coach. Other coaching stops included a year at both Mississippi College and Millsaps College after he broke into the coaching ranks with a year-long stint at Copiah-Lincoln Community College. Caillet also coached two summers in the Cotton States League, including leading the Meridian Marauders to the league championship as manager. As a player, Caillet was an all-district infielder at Hahnville (La.) High and went on to play for Copiah-Lincoln, before finishing his career at Southern Miss as an infielder under Coach Hill Denson. He earned both his bachelor's degree (1998) and his master's degree (2000) from Southern Miss. Caillet is married to the former Jessica Compretta of Bay St. Louis, Miss., and they have a daughter, Carsyn, and a son, Coby. Kainoa Correa coached four seasons at UNC, serving as the overall Defensive Coordinator, Infield Coach, & Third Base Coach. Prior to coming to UNC, Correa spent three seasons as the Head Assistant at the University of Puget Sound in Tacoma, WA. He originally joined the Puget Sound baseball staff in 2011 after a four-year playing career for Puget Sound. As Head Assistant, Correa served as recruiting coordinator, infield coach, and third-base coach. He also oversaw Puget Sound’s overall team defense, strength and conditioning program, and academic advising. 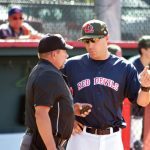 Correa is currently in his second summer with USA baseball as the head coach of the USA NTIS Northwest 17U Head Coach. 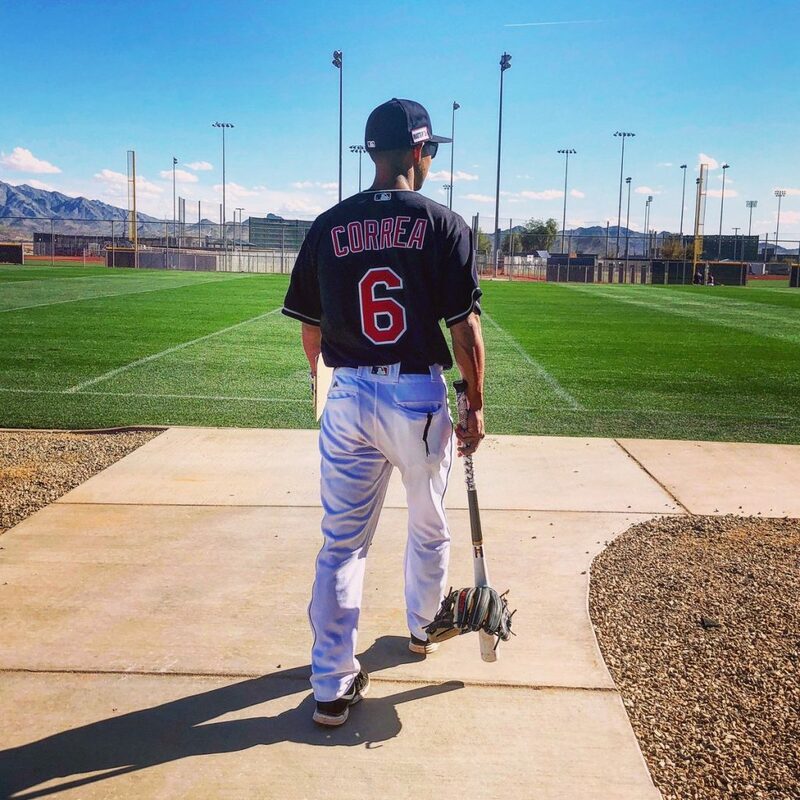 As a player, Correa was an All-Conference Infielder at Waiakea High School in Hilo, Hawaii, helping to lead Waiakea to back-to-back top 3 state finishes. Collegiately at Puget Sound, he played second base, third base, and shortstop from 2007-2011. 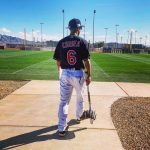 Coach Correa graduated from Puget Sound in 2011 with a degree in History. He currently resides in Windsor, Colorado. Pitching coach Skylar Meade begins his first season on the Gamecock baseball coaching staff. Meade joins Carolina after spending three seasons as the pitching coach at Michigan State University. Meade spent two seasons as the pitching coach at Middle Tennessee State University in Murfreesboro, Tennessee. Meade has had 12 pitchers picked in the MLB First-Year Player Draft in the past four years, including four in the top-10 rounds. Prior to joining the staff at MTSU, Meade worked for five seasons at Eastern Illinois, first as a graduate assistant and then as an assistant coach in 2009. Meade joined the coaching staff at EIU after his playing career at the University of Louisville. With the Cardinals, Meade anchored a pitching staff that helped lead Louisville to the 2007 College World Series. 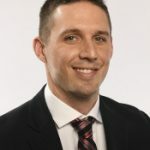 The native of Louisville, Kentucky, earned a bachelor's degree in sports administration from Louisville in 2007 and completed a master's degree in kinesiology and sports studies (sports management) in the summer of 2009 from EIU. Meade and his wife, Jesse, have one child, Kasen. 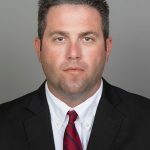 Karl Nonemaker, a former Auburn assistant and All-SEC outfielder at Vanderbilt, was recently named an assistant coach and recruiting coordinator for the Tigers' baseball program. Nonemaker spent the previous six seasons as an assistant and recruiting coordinator at Old Dominion University. Nonemaker was on Auburn's staff from 2005-07, helping the program to a NCAA Regional final in 2005. Prior to Old Dominion, Nonemaker served as an assistant coach and recruiting coordinator at Monmouth University for two years. A 20th-round draft choice of Philadelphia in 2002, Nonemaker's career includes two years playing professionally in the Philadelphia Phillies organization and 11 years coaching at three universities; Old Dominion (2012-17), Monmouth (2010-11) and Auburn. He also spent two years (2008-09) working for Louisville Slugger. A four-year starter at Vanderbilt from 1999-02, Nonemaker was a freshman All-American in 1999 and first-team All-SEC outfielder in 2000. A native of Roxbury, N.J., Nonemaker was a four-time SEC Academic Honor Roll selection, graduating from Vanderbilt with a degree in Human and Organizational Development in 2002. He and his wife Katie have two daughters, Ellie and Ainsley. As a player, Smith spent two years at Notre Dame, where he received his bachelor’s degree in Spanish in 2006. Smith began his college career at Centralia Community College and was later inducted in to the Centralia College Sports Hall of Fame in 2012. Chris Prothro enters his second season as an assistant coach and recruiting coordinator at South Alabama in 2017. Prothro spent eight seasons at Nicholls State, where he served as associate head coach and recruiting coordinator for his final four years, prior to joining the USA staff. 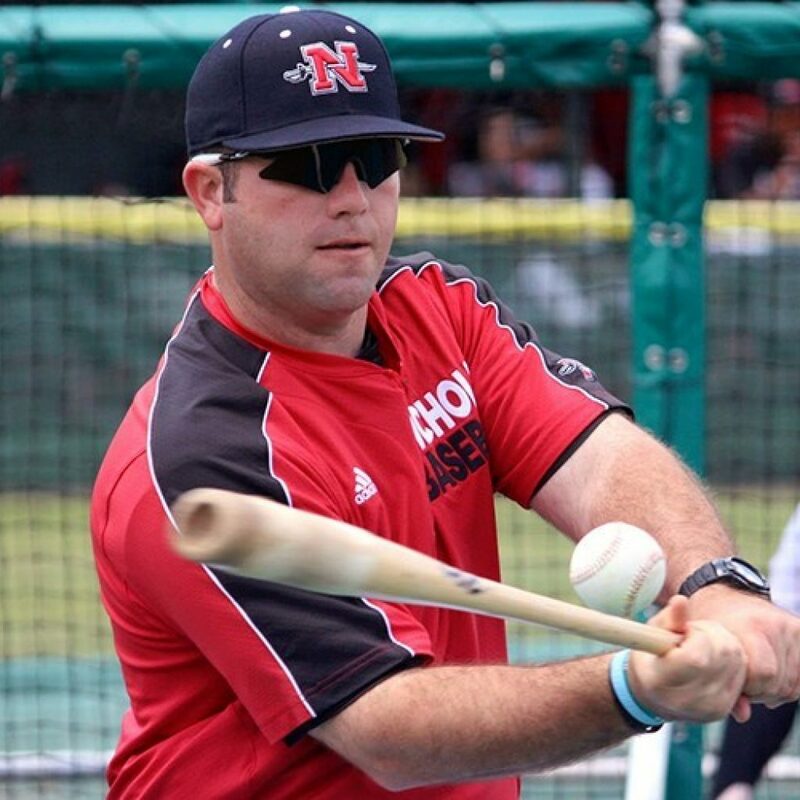 Prior to his time at NSU, Prothro served as assistant coach at North Iowa Area Community College (NIACC) where he also held the title of hitting instructor while working with catchers and outfielders in addition to assisting with recruiting. Prothro lettered for two seasons at Arkansas State (2004-05) as a catcher, and earned his bachelor’s degree in history from ASU in 2005. He also served as a graduate assistant at ASU prior to receiving his degree. He began his collegiate playing career at Northwestern State in Natchitoches, La. before transferring to Crowder College for his sophomore season where he earned his associate’s degree. 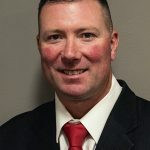 Jim Duffy is in his second season season as an assistant coach for the Scarlet Knights in 2019. An All-American first baseman during his playing days at Seton Hall, Duffy spent the previous six seasons as the head coach at Manhattan. Duffy helped Rutgers establish an aggressive offensive identity in his first season in Piscataway. In his six seasons leading Manhattan, Duffy guided the program to 134 wins, four Metro Atlantic Athletic Conference (MAAC) Tournament appearances and the 2012 MAAC Championship. 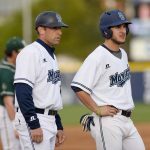 Duffy made a splash in his first year as skipper, leading Manhattan to the MAAC Championship in 2012 and a berth to NCAA Regionals. 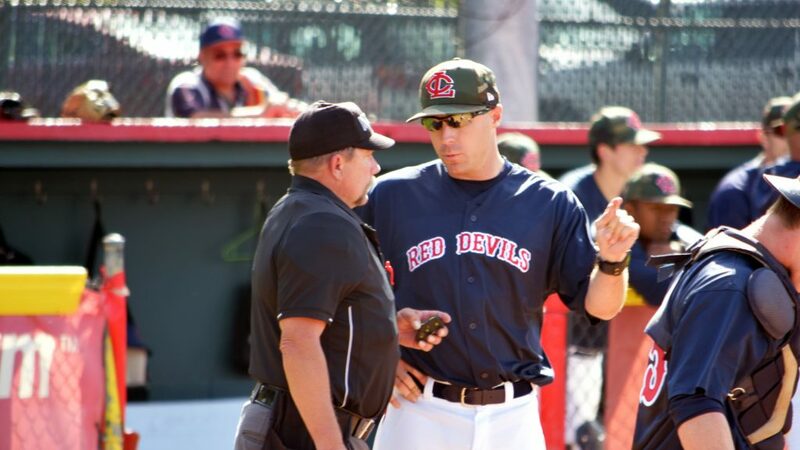 Prior to becoming a head coach, Duffy started his coaching career by spending seven seasons as an assistant coach at Seton Hall, his alma mater, on the same staff as current Rutgers pitching coach Phil Cundari. That started in 2001 when the Pirates won their first Big East championship since 1987. In 2003, he was promoted to full-time assistant coach. Duffy worked primarily with the Pirates' hitters and outfielders while also assisting with recruiting, scouting and team travel. A 1996 Seton Hall graduate, Duffy was a four-year starter at first base for the Pirates. He appears throughout the program record books, ranking second all-time in hits (247) and fifth in runs scored (165). A three-time All-Big East selection, Duffy was named New Jersey College Player of the Year and earned All-America honors after finishing ninth in the nation with a .429 batting average in 1995. In 1997, he signed a free agent contract with the Houston Astros. 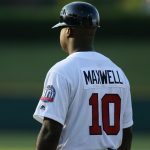 He was an outfielder in the Astros system for four years, advancing as high as Double-A before retiring in 2000 to pursue a coaching career. Duffy and his wife Danielle are the proud parents of three children (daughter Jadan, sons Brennan and John) and reside in Hazlet, New Jersey. 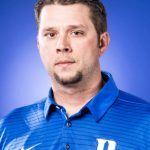 Assistant coach Dusty Blake joined the Duke baseball staff in December of 2017. As the team’s pitching coach, Blake handles the day-to-day operations for Duke pitchers in addition to managing scouting reports and organizing the program’s community service projects. As the head coach at Pfeiffer, an NCAA Division II program, Blake led the Falcons to back-to-back winning seasons for the first time since 2003-04 with consecutive appearances in the conference tournament championship game. He was also responsible for the fundraising campaign that resulted in a new covered batting cage, digitally designed windscreen and padded backstop, practice infield, field lights, and outdoor weight training station. 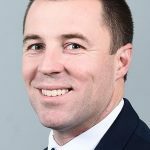 As associate athletic director, Blake was responsible for the oversight of all the Falcons’ athletic facilities including daily maintenance, upgrades and improvements. Prior to his time with the Falcons, Blake spent the 2012 season at USC Upstate, managing the Spartans’ pitching staff while also responsible for recruiting, practice planning, and strength and conditioning. Under Blake’s guidance, USC Upstate won 33 games as well as decreased its walk total and increased its strikeout total. From 2008-11, Blake served as the pitching coach and recruiting coordinator at Wofford College. 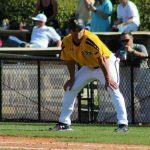 Blake’s coaching career began at Pfeiffer in 2005 when he served as the Falcons’ pitching coach and outfield instructor. He then spent two seasons as the pitching coach at Catawba College as well as coaching the Asheboro Copperheads of the Coastal Plain League during the summer of 2007. Since 2012, Blake has served on the advisory board for Baseball for Life, a non-profit organization that hosts free clinics, repairs fields, provides equipment and offers mentorship opportunities within the Charlotte community. 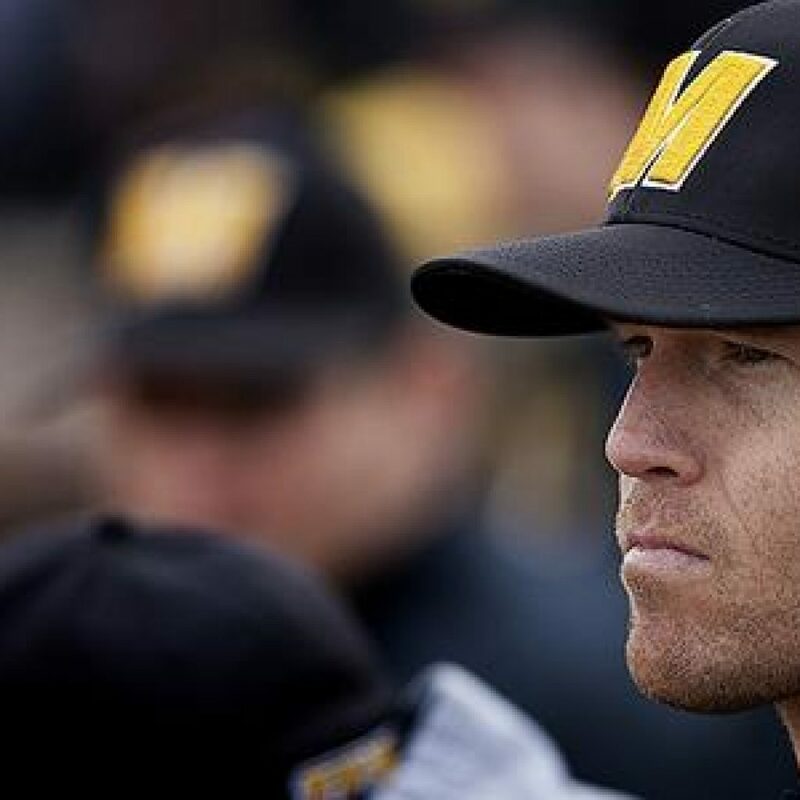 Blake graduated from Appalachian State University in 2003 with a bachelor’s degree in physical education while also playing baseball for the Mountaineers from 1999-2003. He received his master’s degree in organizational business and leadership from Pfeiffer in 2006.